Teamac Deck Paint is a conventional, durable, protective coating for boat/yacht decks. 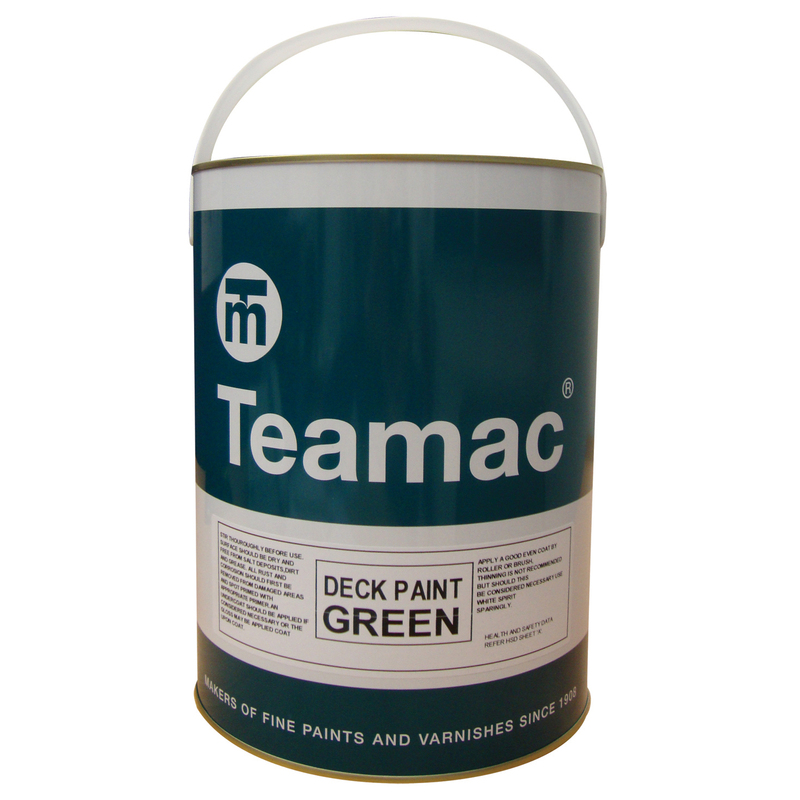 Teamac Deck Paint can be used on suitably prepared wood and Metal decks. Can also be applied directly to GRP decks. Available in Red, Grey and Green. On wood, prime surface with Teamac Wood Primer. On metal, primer with Teamac Zinc Phosphate Primer. Further preparation and application advice available on the Technical Data Sheet below or contact Technical Services for specific advice.